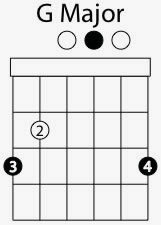 Here is the shape for the open G major chord. This shape is very common but it is also very useful. Making this chord can be difficult for some people at first. Just make sure to curve your fingers over and come down the very tips of them. Alternatively, you can make this chord with your 1st, 2nd, and 3rd fingers instead of your 2nd, 3rd, and 4th fingers. 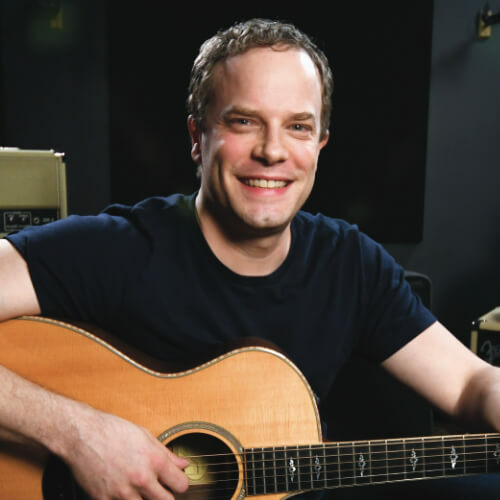 If you need help reading chord diagrams you can go directly to the how to read guitar chord diagrams guitar lesson.